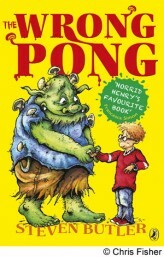 Fans of Horrid Henry: check out The Wrong Pong! If you are a fan of Roald Dahl and Horrid Henry, then you’ll love the funny, stinky new story The Wrong Pong. In fact Francesca Simon says it’s Horrid Henry’s favourite book! 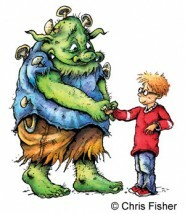 Written by Steven Butler, this gross story is all about a boy called Neville Brisket. One night he wakes up from a strange dram – a dream that there was a horrible, stumpy finger stuck up his nose. Then he finds his room in a mess, and his dog in the laundry basket… Neville goes to investigate – but his investigations end sploshily when he is whooshed down the toilet to the land of Under by mistake! The Wrong Pong is guaranteed to disgust you and make you laugh all at once – everything we reckon you want from a book! To give you an idea of what you can expect, check out the trailer below.